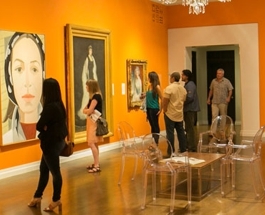 Launched in 2004, ARTafterDARK is the Honolulu Museum of Art's monthly art party organized by a dynamic group of young volunteers dedicated to exploring the arts. 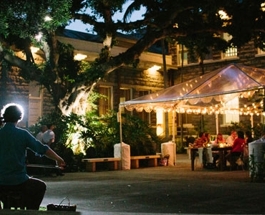 ARTafterDARK is held on the last Friday of the month, January through October, from 6 to 9pm on the grounds of the Honolulu Museum Art. 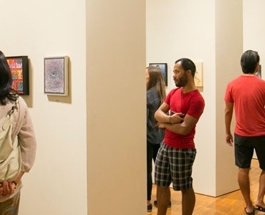 About 250 attended the first ARTafterDARK. Now over 1,500 people flock to the museum for the event each month. Performances change monthly according to a theme, which is inspired by our current exhibitions and film festivals at the museum. This connection to the art makes this event unique and exciting every time. Is there an admission fee for ARTafterDARK events? Admission is free for museum members and $30 for non-members. Admission for children age 12 and under is free, but they must be accompanied by an adult 21 years or older who assumes full responsibility for their supervision, care, and safety. Can I become a museum member at ARTafterDARK? Yes! You can sign up at the membership table located on the front lanai of the museum. Your membership will be immediately activated and you can enter the party for free through the membership line. How can I find out more about ARTafterDARK events? The best place to find out about ARTafterDARK is this website, where the latest info is added as the programs are developed. Menus are posted one week prior to each event. I want to be a part of ARTafterDARK. Who do I contact? Please complete the volunteer application if you’re interested in volunteering. I am interested in sponsoring an ARTafterDARK event. Who do I contact? If you’re interested in learning more about sponsorship opportunities, please contact Maggie Engebretson, Development Officer-Corporate Relations at (808) 532-8785. Where can I park for the ARTafterDARK Friday events? 2) $5: Up to five hours, $2 for each additional 30 minutes or fraction thereof. The lot behind the Honolulu Museum of Art School (1111 Victoria St.), entrances on Beretania and Young streets. NOTE: lot closes promptly at 11pm. 3) $5 at the First United Methodist Church Parking Lot on the corner of Beretania and Victoria streets. NOTE: lot closes promptly at 10pm. • Please don’t touch the art! Many of these works are priceless and it’s everyone’s responsibility to keep them safe for future generations to enjoy. • No large bags are allowed into the museum due to security reasons. If security deems your bag too large, they will require you to check in your bag at the front while at the event. Leave the duffels at home! • ARTafterDARK’s maximum capacity is 1,800 guests. As the party approaches this volume, entry at the doors will be slowed if not shut off all together. We will let more guests in as other guests leave. Moral of the story—get here early! 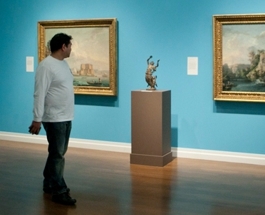 All you need to know to plan a Honolulu Museum of Art visit.